Robert Hooke called small boxes of a cork as cells. Cell is a Latin word for ‘a little room’. It is now known that a single cell may constitute a whole organism as in and bacteria. These organisms are called unicellular organisms. When many cells group together in a single body and assume different functions in it to form various body parts is called multicellular organisms. Each living cell has the capacity to perform certain basic functions that are characteristic of all living forms. We know that there is a division of labour in multicellular organisms which means that different parts of the human body perform different functions. Like digestion, blood pumping etc. Each cell has got certain specific components within it known as cell organelles. Each kind of cell organelle performs a special function, like making new material in the cell, clearing up the waste material etc. If we study a cell under a microscope, we would come across three features in almost every cell; plasma membrane, nucleus and cytoplasm. 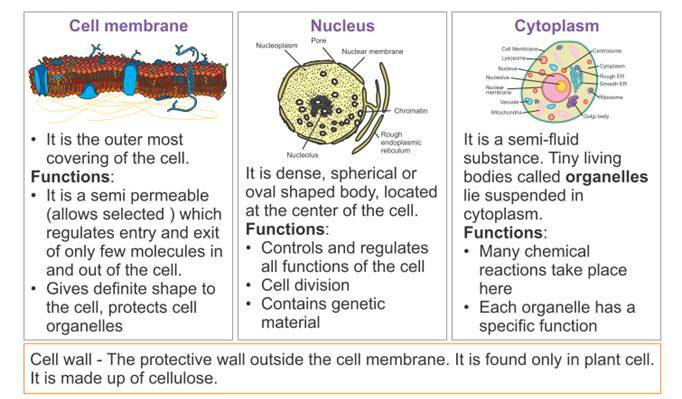 Cell membrane is the outermost covering of the cell that separates the contents of the cell from its external environment. The plasma membrane permits the entry and exit of some materials in and out of the cell. The cell membrane, therefore, is called a selectively permeable membrane. 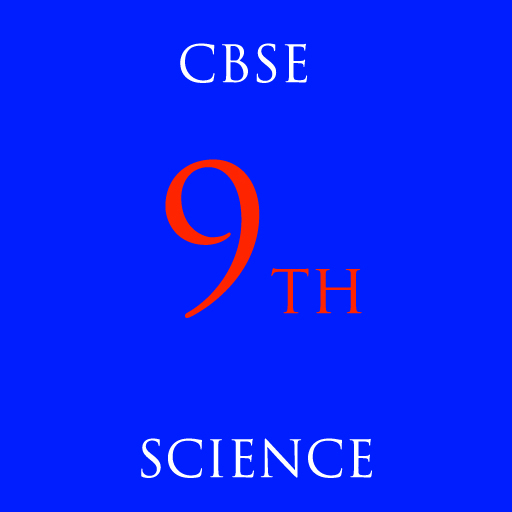 The movement of molecules through selectively permeable membrane from a region of higher concentration to a region of lower concentration is called osmosis. If the medium surrounding the cell has a higher water concentration than the cell or is very dilute, the cell will gain water by osmosis. Such a solution is known as a hypotonic solution. If the medium has exactly the same water concentration as the cell, there will be no net movement of water across the cell membrane. Such a solution is known as an isotonic solution. If the medium has a lower concentration of water than the cell, or is a very concentrated solution, the cell will lose water by osmosis. Such a solution is known as a hypertonic solution. The flexibility of the cell membrane also enables the cell to engulf in food and other material from its external environment. Such processes are known as endocytosis. The nucleus has a double layered covering called nuclear membrane. Which has pores that allows the transfer of material from inside the nucleus to its outside, that is, to the cytoplasm. The nucleus contains chromosomes, which are visible as rod-shaped structures only when the cell is about to divide. Chromosomes contain information for inheritance of features from parents to next generation in the form of DNA. Functional segments of DNA are called genes. The nucleus plays a central role in cellular reproduction, the process by which a single cell divides and forms two new cells. An undefined nuclear region containing only nucleic acids is called a nucleoid. 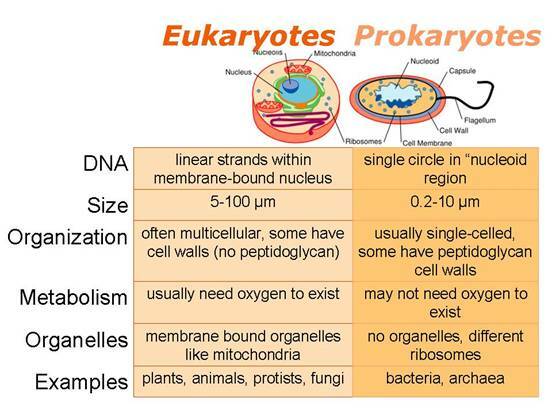 Organisms with cells having a nuclear membrane are called eukaryotes. The cytoplasm is the fluid content inside the plasma membrane. It also contains many specialized cell organelles. Each of these organelles performs a specific function for the cell. The endoplasmic reticulum (ER) is a large network of membrane-bound tubes and sheets. It looks like long tubules or round or oblong bags (vesicles). The ER membrane is similar in structure to the plasma membrane. The SER helps in the manufacture of fat molecules, or lipids, important for cell function. Some of these proteins and lipids help in building the cell membrane. This process is known as membrane biogenesis. The Golgi apparatus, first described by Camillo Golgi. Golgi apparatus consists of a system of membrane-bound vesicles arranged approximately parallel to each other in stacks called cisterns. The Golgi apparatus is also involved in the formation of lysosomes. Lysosomes are a kind of waste disposal system of the cell. Lysosomes help to keep the cell clean by digesting any foreign material as well as worn-out cell organelles. 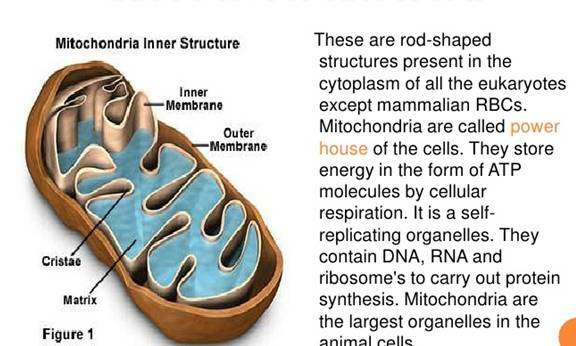 Mitochondria are known as the powerhouses of the cell. The energy required for various chemical activities needed for life is released by mitochondria in the form of ATP molecules. ATP is known as the energy currency of the cell. They have two membrane coverings instead of just one. The outer membrane is very porous while the inner membrane is deeply folded. These folds create a large surface area for ATP-generating chemical reactions. Plastids are present only in plant cells. There are two types of plastids – chromoplasts (coloured plastids) and leucoplasts (white or colourless plastids). 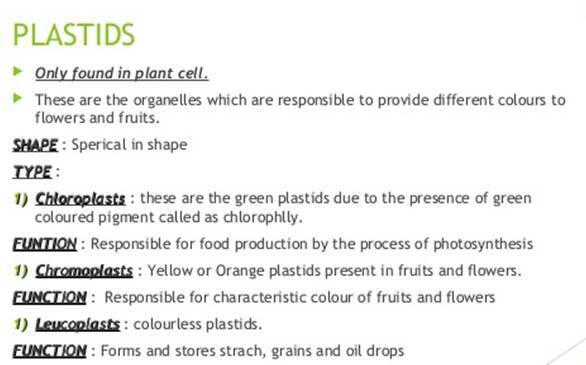 Plastids containing the pigment chlorophyll are known as chloroplasts. Chloroplasts are important for photosynthesis in plants. Leucoplasts are primarily organelles in which materials such as starch, oils and protein granules are stored. Vacuoles are storage sacs for solid or liquid contents. 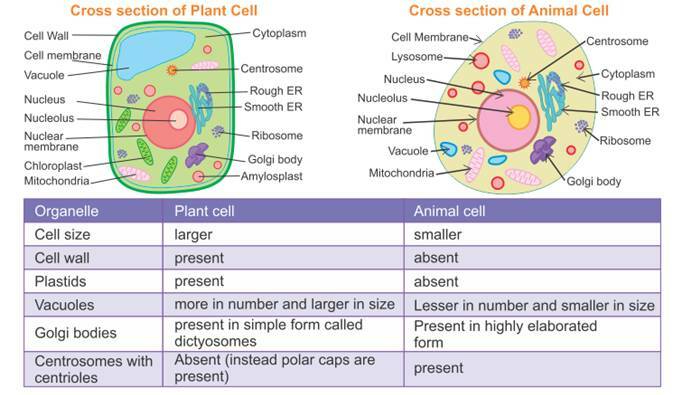 Vacuoles are small sized in animal cells while plant cells have very large vacuoles. The central vacuole of some plant cells may occupy 50-90% of the cell volume.